Two more talented travellers have won themselves £100 vouchers by taking photos of Infotec displays in action. Our photography competition is continuing to attract entries and it’s great for us to see our products in place. Thank you to everyone who has entered. We have two winners to announce – one whose photo was submitted in September, the other October. Congratulations firstly to Kevin S, who posted a photo on twitter of our displays at Slough station. While the displays here are quite old, they are clearly still functioning well, and they do look appropriate in their setting. said: “I'm delighted to win and thank you very much for choosing my photo. I'm a fan of rail travel and I'm also an amateur photographer. I travel extensively by rail with work and I really wanted to have a go at the competition as it caught my eye. A picture of one of the recently installed displays at Derby Station has been awarded the prize for October. Taken by Andrew Washington who lives in Lincoln, it is of one of our landscape TFT displays installed on the overbridge. 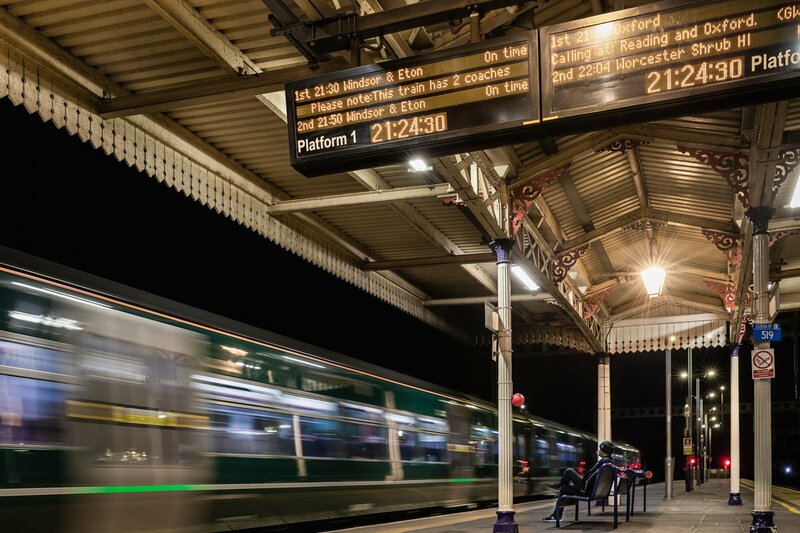 Commenting on his win, Andrew said: “I decided to take a photograph of the display screen on the overbridge at Derby because it’s the only one of its kind I have seen on the rail network and it’s quite neat. Well done to both our winners, £100 vouchers are on their way. November’s competition is now underway, providing a chance for someone else to snap up a £100 voucher prize. To enter, simply take a photograph of an Infotec display in action and post it on social media or email it to us. We are particularly keen this month to see photos of our new mobile displays and of white LEDs, but all entries will be considered.